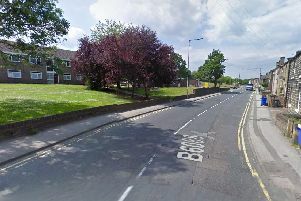 Police were called to a Doncaster secondary school this afternoon, following reports of a ‘dispute between children’. South Yorkshire Police were called to Astrea Academy Woodfields, in Weston Road, Balby just after 3pm. A spokesman said officers were called in to help disperse the crowds that had gathered, following the incident. The Free Press received reports from parents suggesting that some of those involved in the incident were in possession of a knife. Pupils were prevented from leaving school premises while police dealt with the incident, confirmed the spokesman. Officers left the scene at around 4.30pm. The school has been approached for comment. Anyone with information is asked to call SYP, quoting incident number 536 of March 21, 2019.